On the occasion of the Motor Valley Fest the Maserati Showroom will be open Saturday 18 and Sunday 19 May from 10.00 to 18.00. Access to the showroom will be free of charge. Maserati is one of the most fascinating car production companies in Italy with a long history of appeal, tradition and sporting success. It was founded in Bologna by Alfieri Maserati on 1st December 1914 and established as a mechanical workshop named ‘Officine Alfieri Maserati’. In 1926 Maserati was transformed from a workshop, modifying or developing the vehicles of other companies, into a company designing, building and selling its own vehicles. The Maserati brothers adopted the symbol of the Trident, created by the artist of the family, Mario Maserati, and inspired by the famous statue of Neptune in Bologna, and made it the logo thus symbolizing the new company in a single image. At the end of the 1930s, following the acquisition of the company by Adolfo Orsi, a businessman from Modena, Maserati moved to Modena to the current site in Viale Ciro Menotti. Maserati has been part of the Fiat Group – now FCA (Fiat Chrysler Automobiles) – since 2005 and is a prestigious brand in the sector of sports and luxury saloon cars. It is represented in more than 60 countries, where it continues to bear witness to Italian sophistication, elegance and style around the world. Today the factory in Viale Ciro Menotti, Modena, the Maserati Avv. Giovanni Agnelli Plant, inaugurated on 30th January 2013 in Grugliasco and the Mirafiori Plant inaugurated in 2016, are able to guarantee the highest technical and quality standards. A record number of vehicles were sold in 2017 with 51,550 Maseratis. During the two days Maserati will offer - by appointment - free guided tours of the showroom thanks to which it will be possible to admire, in addition to the Maserati store, the cars currently in production exhibited in the showroom, a modern car configurator, a historic diorama and the "loop", the semi-suspended ring designed by the architect Ron Arad. For the showroom tour booking is required. 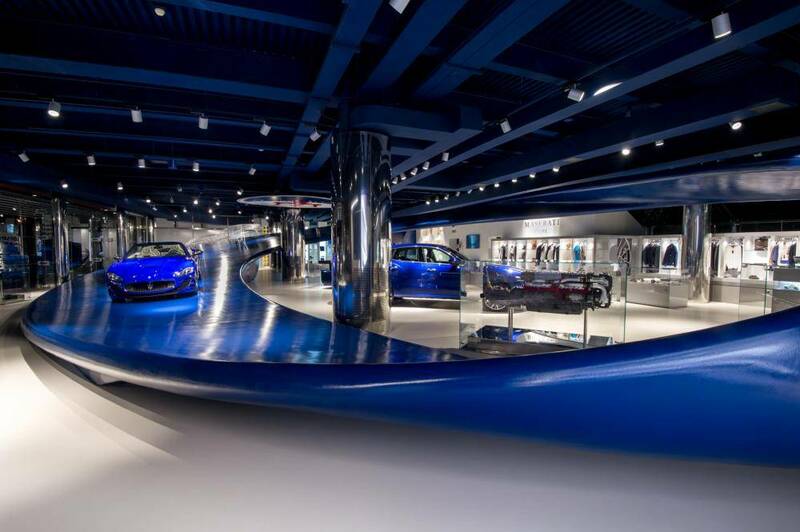 Maserati Factory tours are offered Monday to Friday (excluding public holidays and August) from 9.00 to 12.00 and from 14.00 to 17.00 by appointment and depending on availability. 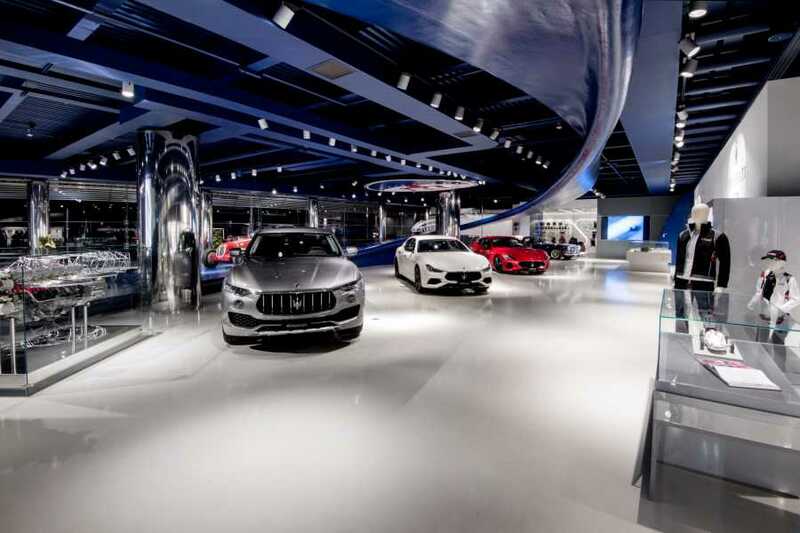 The Factory tour lasts about 1 hour and 30 minutes and includes a visit to the showroom, to the assembly line of the Maserati Gran Cabrio and GranTurismo and to the testing and finishing areas. The tours cost 35 euros per person. Tours are free for Maserati clients.